We’ve encountered Microïds in the past with the rereleases of the Syberia games on the Switch, as well as with their attempt of bringing a serious racing game to Nintendo’s latest console. While both releases were certainly successful we were wondering what more they could bring to the table in terms of powerful titles for the Switch platform. This time we get a goofy 2D platformer in which you have to drag a chariot around that contains the remains of your fallen king. It’s up to you to bring his body to a final resting place of his choosing, as his ghost will constantly pester you until you find the spot that can finally allow him to move on towards a higher calling. 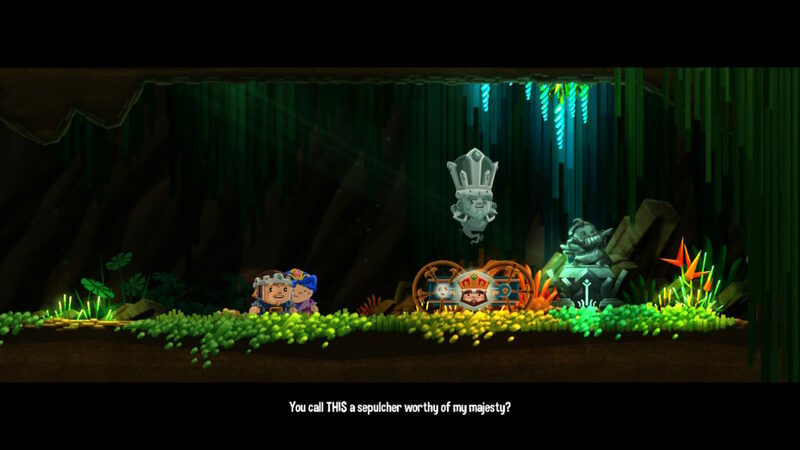 The story in Super Chariot is extremely simple, as it all revolves around the king, who has perished, and is now in need of a perfect spot to lay his remains to rest. Sadly for you, the one(s) that have to push around the chariot with his remains through various harsh environments, the king is still a sentient ghost that is very picky about his final resting place. He will send you from one spot to another, turning them down one by one, forcing you to continue your perilous journey. The story is told by simple cutscenes with a few witty lines of spoken dialogue, adding a pleasantness to the game that is often not found in simple platformers. 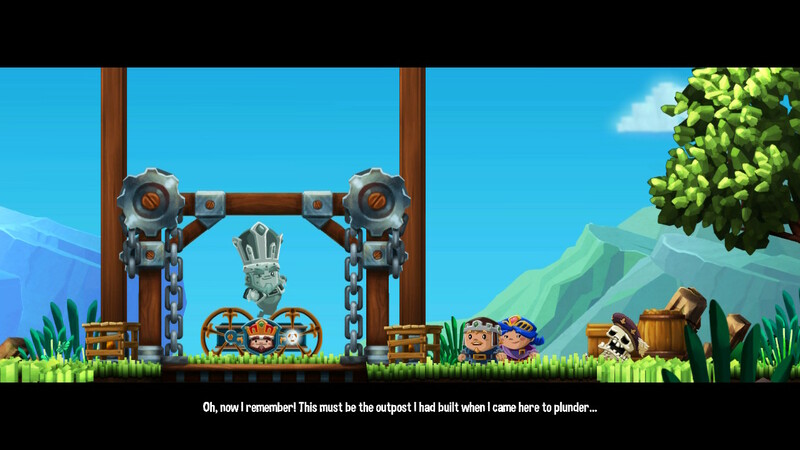 Super Chariot is an extremely cute and likeable game in terms of graphics. You’ll be playing with comic-like small characters, who were the servants of the king and now have to guide him towards his final resting place. The characters are designed in a fun fashion, and the same can be said about the enemies that cross your path. 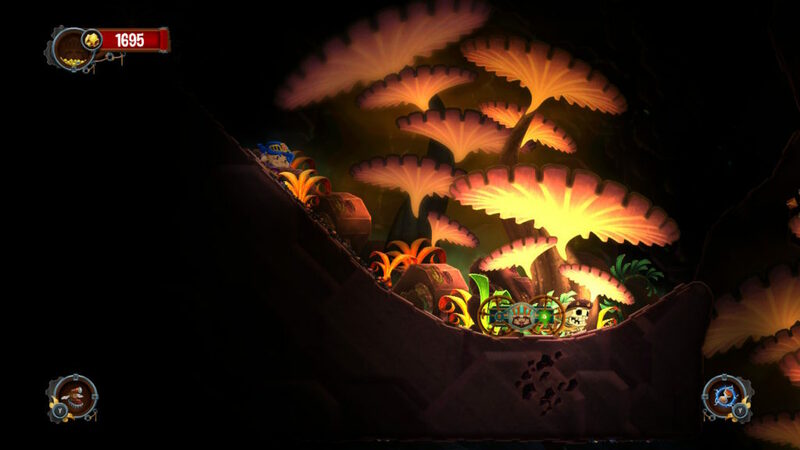 The environments are fairly diverse and will offer enough variation to play through the 25 levels the game throws at you. Overall Microïds did a great job in creating this original title for the Switch. The music in the game is fairly upbeat and does have a bit of a medieval sense to it, but in the end it isn’t all that noticeable when dragging the chariot through the different levels. Your focus will be placed elsewhere as the actual gameplay may be simple, it’s also rather intense, leaving you not that much time to focus on the music. The voice acting, limited as it may be, is superbly done. You’ll be able to enjoy a fairly lighthearted cast, with enough one-liners, fun and simple story progression and so on. Super Chariot is a 2D platformer with a twist, as you have to drag around the chariot that contains the remains of the deceased king. You will have to traverse through five different areas, in 25 levels, to find the final resting place for your fallen lord. You will soon notice that the game is a lot more than just jumping around, as you’ll have to get that chariot around obstacles, over crevices, through small passages and so on. Overall this quirk feels like a fun addition to the genre, and a very original one at that. You can opt to simply run towards the finish of every level, which significantly reduces the play time, or you can become the explorer you’ve always wanted to be, and drag the chariot to some harder to reach spots. The game’s mechanics take some time getting used to but are simple enough to understand. You can push the cart, but you can also attach a rope to one of the two tethering points, allowing you to drag around the chariot. By doing this, you can drag it over obstacles, pull it closer, or simply hold on to it, making sure it doesn’t turn into a runaway piece of wood. 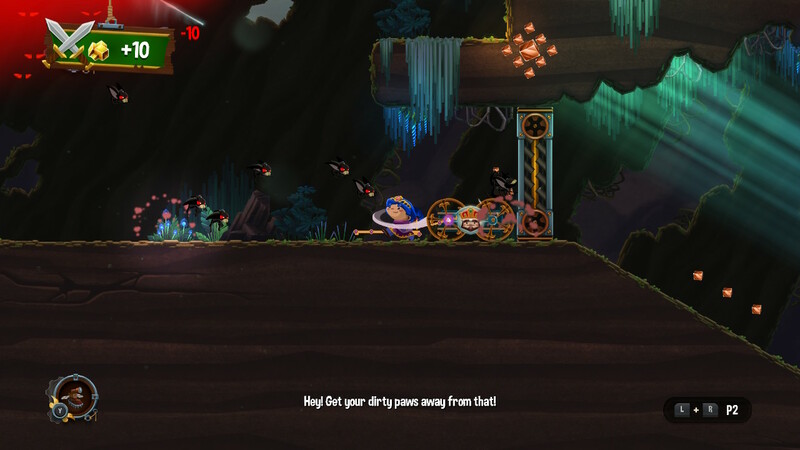 The game will also present special obstacles, such as spirit paths and life paths. The spirit path is a road only the chariot can traverse, while the life path is only for the living, namely the servant you’re playing with, or in multiplayer, both servants. After playing several levels, you’ll unlock more and more accessories for your character(s) and upgrades for the chariot. You can for example equip boots to help you gain traction on ice and other loose or slippery soils, while you can also use a booster for special attacks and so on. To progress, you’ll have to find chariot upgrades, such as a flashlight to see in the dark. Overall this creates a bit of extra to look out for than just mindlessly running towards the end. Another fun part this game includes is the option to play with a friend. While more than often you’ll swear at each other for messing up an ascend with the chariot, you’ll also have portions of the game that are only solvable when playing together with an extra player. The latter is sometimes annoying if you wish to complete everything on your own, but it creates an incentive to invite people over. 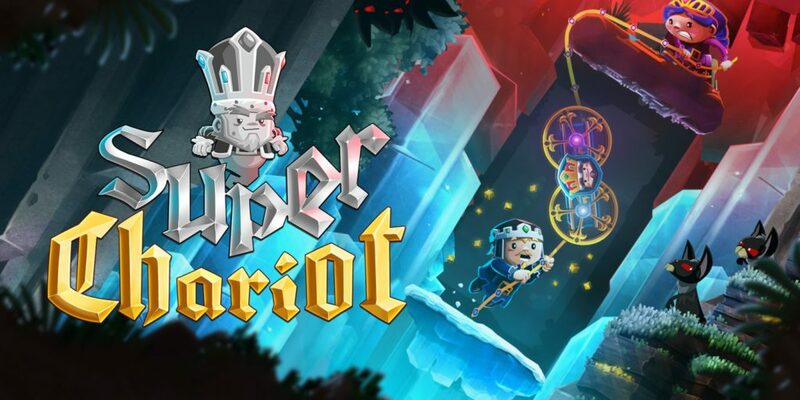 Super Chariot is a short and sweet adventurous platformer if you’re just hopping from finish to finish, but you can also spend a bit more time with the game if you’re a completionist. You’ll be treated to a fun story, cute graphics, amusing voice acting and dialogues, and simple yet hard to master mechanics that drive this game forward. All of this comes with a king that’s very picky about his final resting place, making sure you’ll have fun for several hours to come.